Jamaica is an amazing destinations with a vibrant culture, beautiful beaches, a tropical climate, incredible resorts and friendly local people. There is a lot more to Jamaica than just resorts though - set up a dream trip today and do more than just sunbathing on one of our experiences. View our Jamaica travel guide and search amazing trips today. Get inspiration for the best things to do if you would like to go travelling, backpacking or take a gap year in Jamaica. 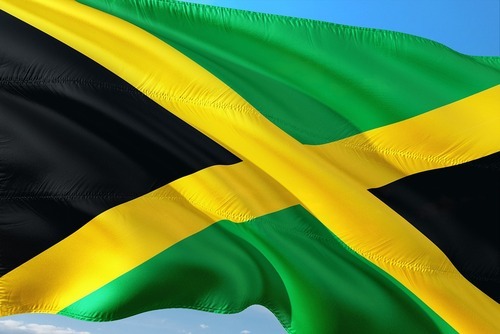 To enter Jamaica you will need a valid passport, sometimes you might be required to show a return ticket and demonstrate you have sufficient funds in your bank account. Citizens of the USA and Commonwealth Nations do not need a visa and you can stay for up to 6 months. We have a selection of gap year programs in Jamaica which are open to all Nationalities, lots of students, graduates apply but there are spaces for everyone. 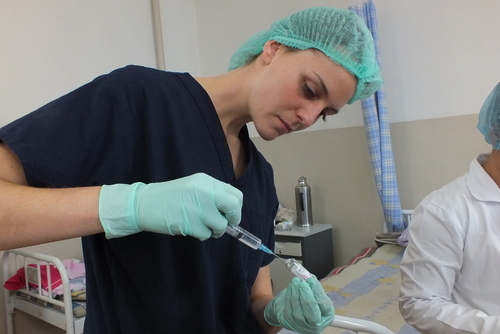 Placements can be found at community care homes, orphanages, teaching, sports and also working on environmental projects. Some gap year programs are located in Mandeville and Kingston and you will also get time to discover more of the island. There are things you might want to do in Jamaica, you could learn about the local famous natives like Bob Marley, watch a live football game or relax and see stunning beaches. We highly recommended going to see Jamaica’s Blue Mountains which contains the highest point in the country, at 2,256m. 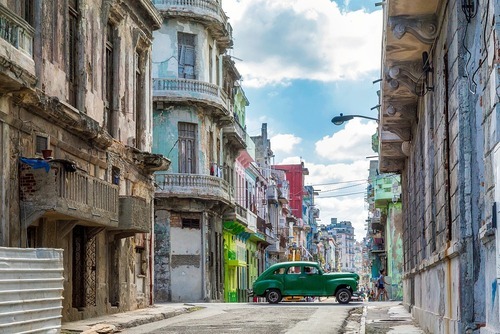 Intrepid hikers can reach the summit via a trail and find a view of both the north and south sides of the island, as well as sometimes the island of Cuba, 210km away. While the higher slopes of the range are preserved as forest areas, lower down the mountains coffee is grown. Lucky visitors might even catch sight of a Homerus swallowtail – the second largest butterfly in the world. Jamaica is not the safest destination in the world and joining a structured experience can be the safest and best way to get around - having an experienced guide alongside you gives you peace of mind and also takes the hassel away from visiting this magical island. There are also lots of optional activities like going wildlife watching or visit waterfalls or going to visit the Bob Marley Museum. 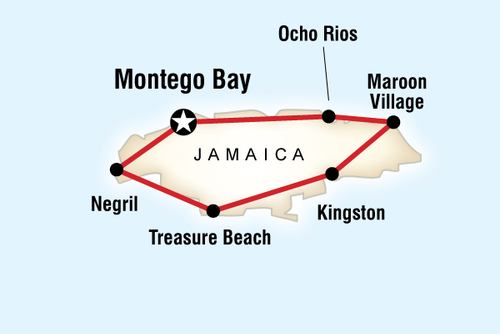 Tours are also a great way to see the real Jamaica away from the all-inclusive gated tourist resorts. Most tours start in Kingston and then travel around the island where you will take in bustling towns, countryside and spectacular beaches. Usually there is an average number of 10 people per trip and you will usually stay in hotels and guest houses, the cost of a tour can vary depending on the tour and operator. We list local tour operators which you can find using our advanced search, you will get to explore new destinations and go off the beaten track. The coast of Jamaica consists of kilometres of amazing white sand beaches, furthermore, the sheer length of the beaches – coupled with the tropical climate – has made Jamaica famous for its romantic sunsets - experience it for yourself. Such unspoilt natural beauty certainly provides a tranquil and refreshing contrast to the fast-paced working life from which most holidaymakers come to relax. 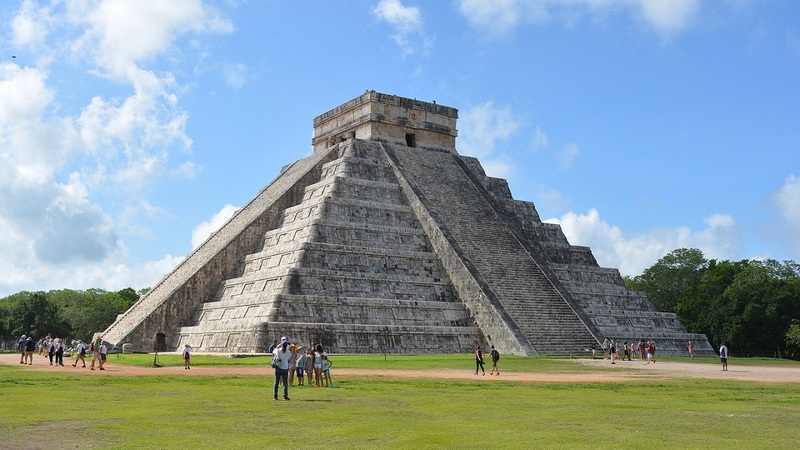 Tours are perfect if you are travelling solo and would like to meet other people and travel in a group. You will get to meet other international travellers and get taken to the best locations in the country with an experienced guide. Most of the tours we promote specifically cater for the 18-35 age group and are a really popular option due to meeting other people, getting day-to-day activities, hotel check-ins, selected meals, accommodation and also transport/guides included in the price. Don't worry if you are slightly older, most tours accept all ages. 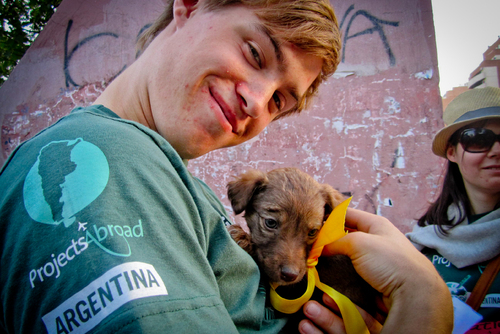 Are you looking to take a vacation and give something back in an exotic part of the world? Signing up to volunteer gives you the chance to see Jamaica’s landscapes and natural beauty and make a difference. Most projects are located in Mandeville, Kingston and on the spectacular Jamaican coast. Jamaica has extreme poverty which you might not normally see when visiting on your average holiday and there are a large number of people and communities living in poor conditions. For this reason there is a need for help all year round and this will be an enriching time of your life. Also it’s not all about hard work, you will have plenty of time to relax on some of the most stunning beaches in the world. Jamaica has a thriving nightlife and beautiful beaches which mean it is a very popular destination for volunteers - you can meet people from all around the world and check out spectacular spots in your spare time like Treasure Beach. 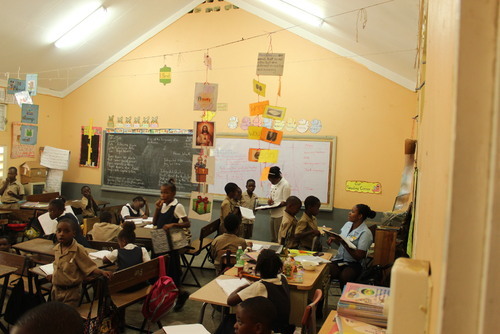 Volunteers to Jamaica are so impressed that they both return there and recommend it to others, so its reputation among the top destinations in the world will continue to grow steadily. Where you end up really depends on the project you apply for, each part of the island offers something different and there is no best place to work. You will get a really authentic experience experiencing the country like a local. 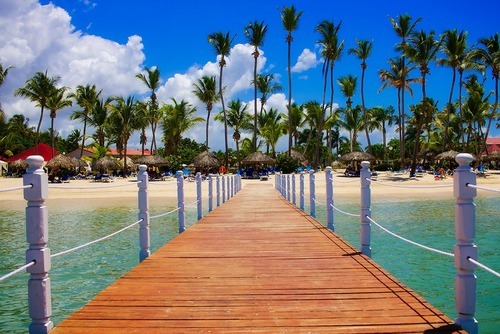 There is something for everyone on this paradise island so what are you waiting for? 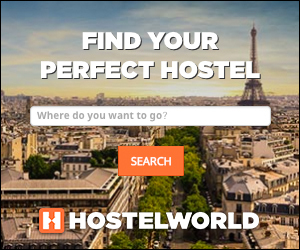 Accommodation is usually provided in the form of a shared house, hostel or for extra fee hotel accommodation can be provided. You will usually stay close to projects and be living with other international participants. 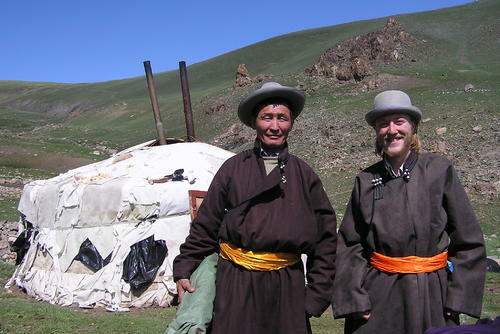 Local people are incredibly friendly and there are also home stays available if you would like a more authentic experience. 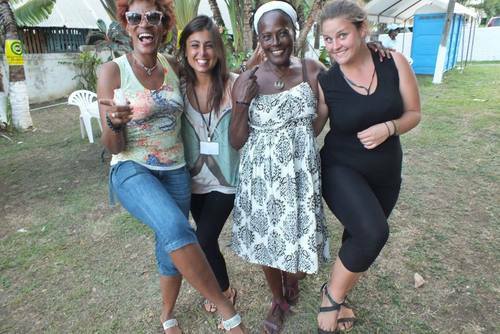 You might also like to view more Caribbean volunteer programs. 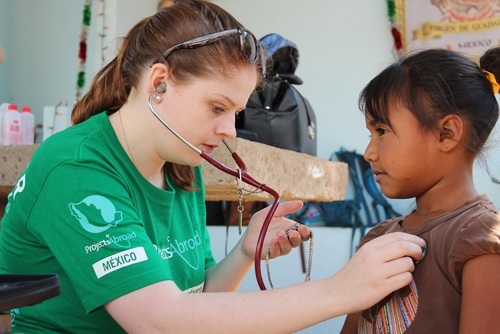 As a volunteer you can join medical, healthcare and dentistry placements, work on agriculture / building / construction programs, childcare projects, educational teaching programs or even gain experience on media and journalism placements. 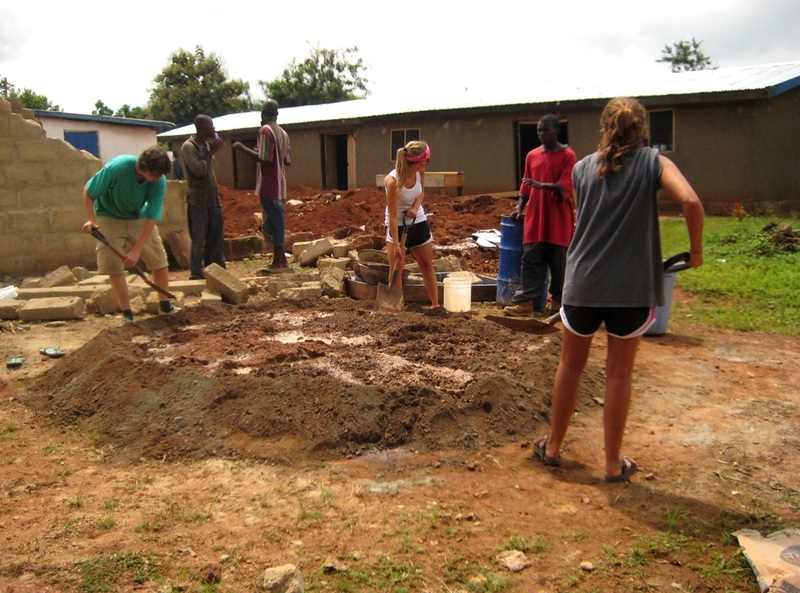 You could help projects with the community; working with children at orphanages and care homes; gaining medicine, nursing and healthcare work experience; leading English lessons by teaching, instructing sports at schools and more. In Jamaica there are NGO's and charities working to help marine conservation and eco systems for example trying to help whales and sharks whose numbers have fallen in recent years. 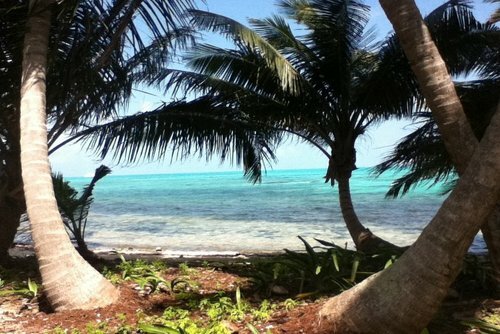 You could also travel to the Caribbean coast and help conservation programs which can be really enjoyable. Be ready for a fresh challenge unlike anything you might have done previously. 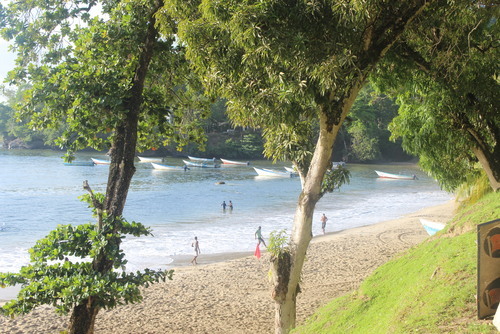 As tourist numbers visiting Jamaica have increased, infrastructure has been expanded which has had a negative effect on the environment and biodiverstiy. 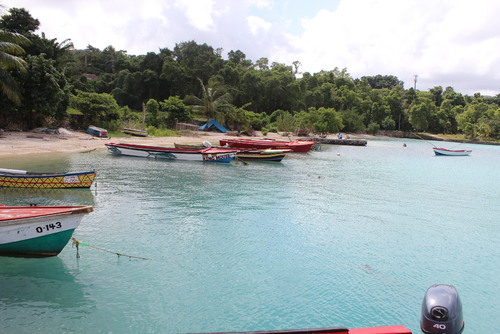 To this day, the tourist industry in Jamaica is subject to ecological regulations. No building is permitted to reach higher than the tallest palm tree, for example. What is more, since 1994, the Coral Reef Preservation Society is responsible for the protection of the area’s ecosystem in places like Negril where you can get involved and help too. Situated at the furthest western point of Jamaica, Negril Beach has an enviable reputation as an outstanding destination for those seeking sun and nature. Several natural and cultural aspects of the area may account for this. There is also the Negril River nearby for fishing and the Royal Palm Reserve to visit and relax in which are located within the protected wetlands and forest of the Great Morass swamp. You can play a role by joining conservation projects or even doing something independently by picking up rubbish or doing nightly beach patrols making sure that plastic and waste don't enter the ocean. Do you like animals? Would you like to volunteer with wildlife like horses? Consider applying to help at wildlife sanctuarys in Jamaica which offer you the chance to volunteer your services and really make a difference by helping horses and other animals. 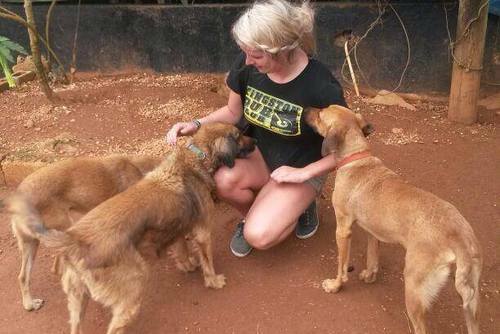 As a volunteer you will be able to help local staff with the daily routines and activities. This can involve working in a team with other international volunteers from all over the world to ensure bears are cared for properly. You will be given full training and safety advice in your first week and placements are totally flexible so you can volunteer anytime throughout the year and stay as long as you want. Don't worry placements are totally safe and these placements are a lot of fun - there are not many exotic places in the world where you can get close to these creatures which are usually in the wild. Sometimes these can be challenging but really rewarding knowing you are helping. Most projects accept solo travelers, couples, groups and families. 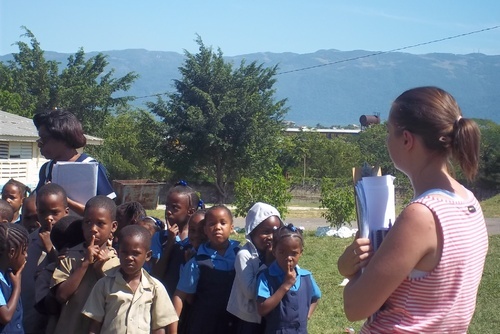 If you are thinking about volunteering in Jamaica you will need to be 16 years of age or over, no previous language skills or experience is needed and all training will be provided. You will need certain characteristics though like being adventurous, energetic, fun and a team player. Sometimes placements can be very hands on and sometimes you might be required to do manual labour, please note you might need to be in good physical shape and not have any health concerns. Also depending on your experience you might be placed on different roles. No visa is need for U.S. citizens but other Nationalities will need to check. You can apply through our website today and make sure you will get a spot on the date you require. There are short and long term placements available and most organisations will require you to commit to a minimum of 2 weeks. Programs can be joined anytime throughout the year which mean that best time to go is entirely up to you. Summer programs, however, are particularly popular. Sometimes you might need to pay a fee to participate - this usually acts as a donation and includes accommodation, transport and food. The fee can depend on the project, duration you want to participate and also the organisation you apply with. You can research or apply through our website which is free to use, make sure you get prepared and book a date in advance as spaces can fill up quick. You can find free and low cost volunteering opportunities in Jamaica but you will need to be independent and apply with local NGO's. Please remember this is not the safest destination in the world and so we highly recommend booking a structured experience before departing.